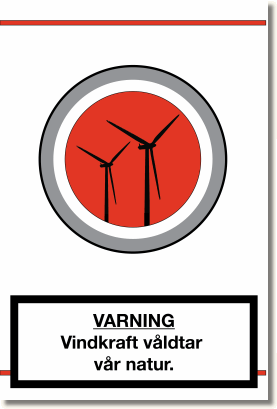 WARNING - Wind power kills Sweden's favorite spots. Swedish protesters demonstrate on October 18, with placards reminiscent of the fight against the big Tobacco companies. 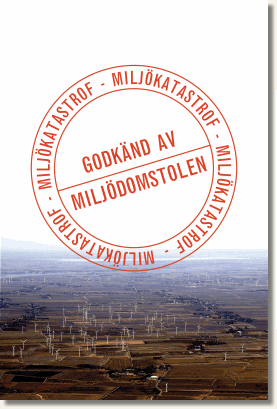 Today, the 18th of October 2012, groups of protesters in Sweden have shown their dissatisfaction with the way the deployment of wind power is handled by the authorities. Nationwide demonstrations started at exactly the same time, 11.45 AM, to send a clear signal to the Swedish authorities. Sweden has 21 counties, where major wind projects are handled by their respective County Administrative Boards (CAB). Each of them is headed by a County Governor. They are instruments of the central government, and do not hesitate to approve windfarm projects rejected by municipalities. Today, the demonstrators confronted the CABs with the problems created by windfarms. They also demonstrated in front of three of the five Environment Courts, because of decisions that can be expected in a country like Belarussia, not Sweden, as an environmental lawyer said. 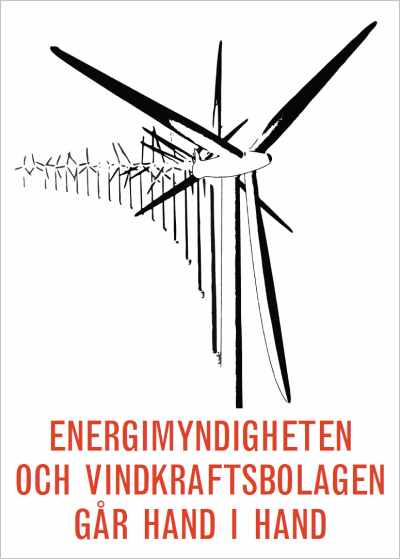 The Swedish Energy Agency was also targeted by a demonstration. This agency works in a manner which evokes memories of the former Soviet Union. The nationwide manifestation was organised by Föreningen Svensk Landskapsskydd (the association for the protection of the Swedish landscapes), a member of EPAW, with the participation of other protest groups. It is the first time that demonstrations take place in front of state authorities and courts in Sweden. WARNING - Wind power rapes our nature. Wind power is subsidized to destroy the environment. 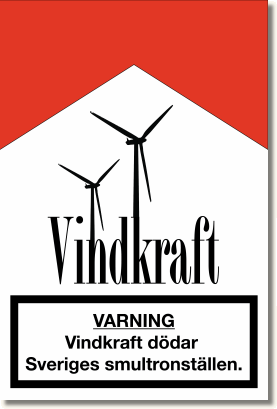 The Swedish Energy Agency goes hand in hand with the wind companies.